Jonathan is a member of the firm's Financial Services and Commercial Litigation Practice Groups where he works on behalf of banks, real estate developers, investment trusts, landlords, tenants, title insurance companies and local businesses in commercial disputes. 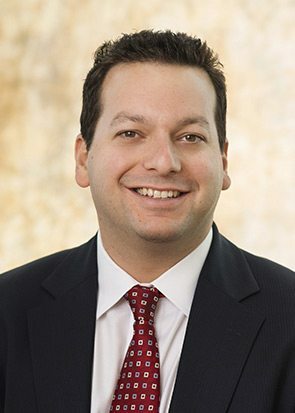 Jonathan represents financial services clients including banking institutions, loan servicers and commercial lenders in litigation disputes in both state and federal court, and arbitration proceedings through all stages of the dispute, including trial. A significant portion of his practice involves the representation of mid-size to large, and both local and national corporations in breach of contract, consumer class actions, foreclosure, restrictive covenant enforcement and defense, and other commercial disputes. This experience further extends to representation of creditors in Chapter 7, 11 and 13 bankruptcy proceedings. Jonathan also represents real property insurers against insured parties here in South Florida. While obtaining his J.D./M.B.A., Jonathan was a member of the Phi Delta Phi Legal Honor Society and Finance and Management Club, and served as President of Entertainment for the Sports Law Society. With a business background, Jonathan practices with the bottom line in mind and with clarity of challenging financial concepts that allows him to efficiently resolve business disputes. Before attending law school, Jonathan worked in the entertainment industry in production.